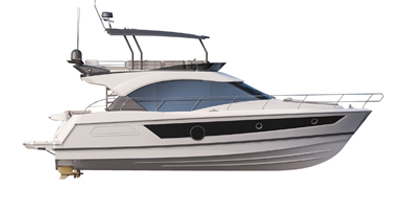 the Antares 10.80, designed by the Beneteau design office. The “Motoryacht” appearance of the Antares 10.80 can’t hide its professional fisherman origins: reliability and safety are the key words, from the design to the manufacturing of this boat. Designed to last, powerful, safe and comfortable, the Antares 10.80 is truly a prime Antares.